Navigate through the eyes on our site. 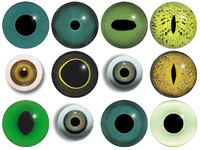 Alongside each eye is a drop-down box to give you the choice of size. Select a size and then click on Add to cart and the website will add this eye to your shopping cart. 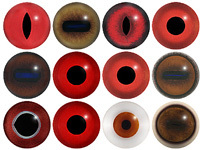 Note that unless clearly stated otherwise, all our eyes come as pairs. 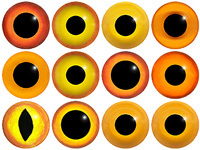 From the shopping cart you can select more than one pair of eyes by using the dropdown box to select a new quantity. Proceed to checkout and enter your delivery information as requested by the website. As most orders are shipped within 48 hours of receipt, orders may be cancelled in writing via email and with out penalty, up to 24 hours after the order has been placed.